While adoption doesn’t have to mean the end of a close relationship with your baby, it does mean your relationship is likely to change after placement, and that can be an extremely emotional and challenging reality to come to terms with. Your post‐adoption contact signals the end of one chapter in your adoption book as you move onto another, and it can be scary to think about what your future relationships might look like. 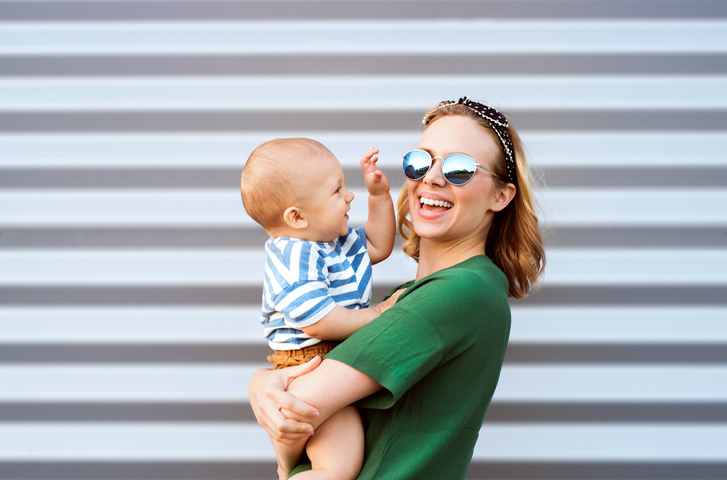 Birth mothers have all different preferences for post-adoption contact with their children, and you can choose exactly what you envision your future relationships to look like. Here, we’ve outlined five questions to ask yourself when making your post‐adoption contact plan. 1. What types of contact am I most comfortable having throughout the adoption? Every post‐adoption relationship is different. Typically, contact can take place in the form of phone calls, emails, pictures and letters, and in‐person visits. Initially, birth parents might be hesitant about sharing contact and information about themselves with the adoptive family. But studies have continuously shown that participating in at least some of open adoption is better for everyone involved than not having any contact with your child’s adoptive family. If you’re interested in all of the various types of contact, and you’re comfortable with what an open adoption entails, you might decide that you’re ready for a close relationship with the adoptive family and your child. It’s important to remember that you should only have as much contact as you’re ready for, and no one should pressure you into sharing more than you’re willing to. You might only be comfortable with one type, such as pictures and letters, and decide to keep the information that you share very brief. That’s perfectly okay, too. You are the deciding factor in any contact that you choose to have. 2. What boundaries do I want to have in my post‐adoption contact? An open adoption isn’t for every woman who’s placed her child for adoption, and even a semi‐open adoption can still be too overwhelming for some birth mothers. In a closed adoption, certain personal details of everyone in the adoption triad — the birth mother, adoptive family, and the adopted child — are kept confidential. After the delivery, you won’t have any contact with your child in a closed adoption, and the adoptive family won’t be able to contact you without your permission. While your comfort should always come first, and your opinion shouldn’t be challenged one way or another, it’s always a good idea to talk to your adoption specialist as you’re considering the pros and cons of a closed adoption. Even in an open or semi-open adoption, it’s important to consider the boundaries you want to have in your communication before and after placement. Your adoption specialist can help you create a schedule for contact with the adoptive family that you’re comfortable with, and she can guide you in setting new boundaries any time you need to make a change in your relationship with the adoptive family. 3. How often do I want to see my child in person, if at all? With every ounce of love that you have for your child, deciding how much contact you’re ready to have with him or her is a tremendously difficult choice. Some birth mothers choose to see their child in person once a year, and sometimes more depending on their relationship with the adoptive family. With in‐person visits, it’s important to establish boundaries and how much time you’re realistically able to spend with your child. Every woman who places their child for adoption handles grief differently, so there are many birth mothers who are only able to handle a few hours while others can handle an entire day or weekend. Depending on your situation, you might not be able to handle seeing your child at all after the adoption, as this can reopen old wounds. 4. How do I feel about sending and receiving gifts? Sometimes, especially during the holidays or other special growing‐up milestones, the birth parents and the adoptive family might choose to exchange gifts. These gifts might range from age‐appropriate toys and care packages to something as simple as a “thinking of you” card. The gifts that you give and receive will ultimately depend on the relationship that you have with the adoptive family, but it’s always good to speak with your adoption specialist as well. Don’t feel pressured to keep promises that you’re not able to or to share more information that you’re not ready for. 5. Will I need more or less space after the adoption to find closure? No matter which type of adoption you choose to pursue, it’s normal to experience feelings of loss and grief after the adoption, and some birth mothers may grieve the loss of being unable to have a closer relationship with their child. They may even fear that seeing their child in person might prevent them from moving forward and getting closure from their decision. There is no one type of adoption that guarantees closure; every birth mother’s situation is different. Finding acceptance for your decision is often the hardest part of any adoption. Many birth mothers aren’t comfortable with or ready to receive pictures and letters from the adoptive family right away. If you need more space in your adoption, you could ask the adoption agency to hold your pictures and letters, and then forward them when you’re ready. If you are most comfortable with this type of post-adoption relationship, you can ask the adoptive family to forward pictures and letters to American Adoptions, where they will be held until you are ready to receive them or until your child turns 18. As soon as you’re ready, your adoption specialist can forward them to you. Remember, you are the only one who can make this decision. Adoptive families that work with American Adoptions are ready for whichever type of adoption you’re most comfortable with. If you have any additional questions, you can always ask your adoption specialist for advice when it comes to your post‐adoption contact.